Talk is cheap! Show me code! View Crossing the Streams: Rethinking Stream Processing with KStreams and KSQL on Notist. All things change constantly! And dealing with constantly changing data at low latency is pretty hard. It doesn’t need to be that way. Apache Kafka, the de facto standard open-source distributed stream processing system. Many of us know Kafka’s architectural and pub/sub API particulars. But that doesn’t mean we’re equipped to build the kind of real-time streaming data systems that the next generation of business requirements are doing to demand. We need to get on board with streams! Viktor Gamov will introduce Kafka Streams and KSQL—an important recent addition to the Confluent open source platform that lets you build sophisticated stream processing systems with little to no code at all! 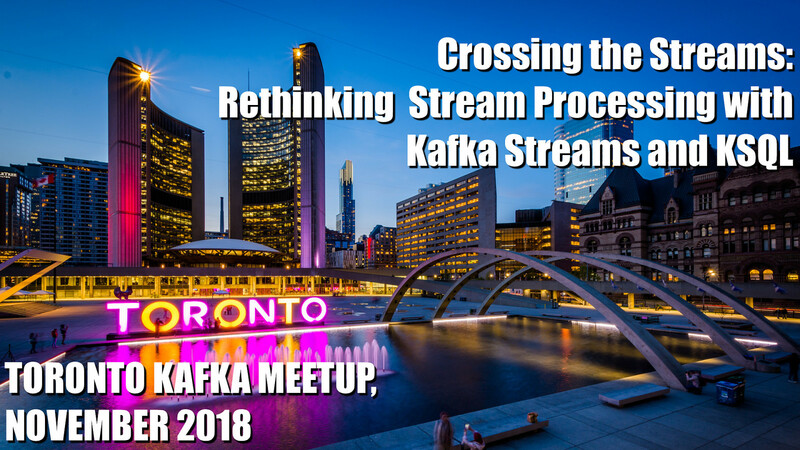 He will talk about how to deploy stream processing applications and look at the actual working code that will bring your thinking about streaming data systems from the ancient history of batch processing into the current era of streaming data!